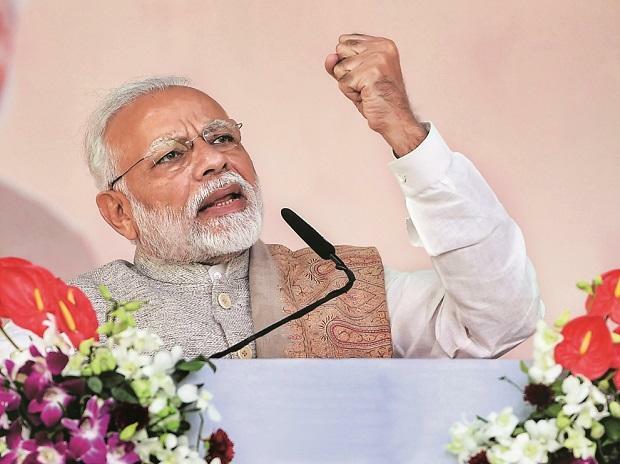 Prime Minister Narendra Modi said Thursday the BJP is open to alliances and cherished its old friends, in a hint that it was looking to strengthen the NDA in Tamil Nadu ahead the Lok Sabha elections. In an interaction with party booth-level workers from five districts in Tamil Nadu through video conferencing, he recalled the "successful coalition politics" ushered in by former prime minister late Atal Bihari Vajpayee in the 1990s and said the BJP's doors were "always open". "...20 years ago the visionary leader Atal ji brought in a new culture in Indian politics, that of successful coalition politics. He gave utmost importance to regional aspirations... BJP has followed the way Atal ji has shown us," Modi said. The prime minister, in the fourth interaction with the party workers in the state, was responding to questions from a worker whether the BJP would ally with the AIADMK, the DMK or Tamil superstar Rajinikanth, who is yet to form his political party. The BJP had fought the 2014 Lok Sabha elections in Tamil Nadu leading a six-party alliance comprising smaller parties, including the DMDK, the PMK and Vaiko-led MDMK, and won two of the 39 seats -- one each by the saffron party and PMK. However, all five parties snapped ties with the BJP later. The prime minister said a strong NDA was "an article of faith for us". "It is not a compulsion. Even when the BJP won a strong majority on its own, we preferred to run the government with our allies. We cherish our old friends and our doors are always open for parties," Modi said. Lashing out at the Congress for "ill-treating" regional parties, he said, "What Atal ji did was in direct contrast to the Congress which has never cared for regional aspirations. "Congress ill-treated regional political parties, aspirations and people because they felt they alone have the right to be in power," Modi said. The prime minister also stressed on the importance of connecting with people, saying more than all the political issues, the winning alliance was an alliance with the people. "The strongest alliance is one with common citizens. More than alliances we have to focus on remaining connected with people," he said. BJP workers from Arakkonam, Cuddalore, Krishnagiri, Erode, Cuddalore and Dharmapuri took part in the exercise on Thursday.